A Keizer man arrested on multiple drug-related charges less than two weeks ago was released from jail due to overcrowding and ended up back in cuffs with new charges less than eight hours later. 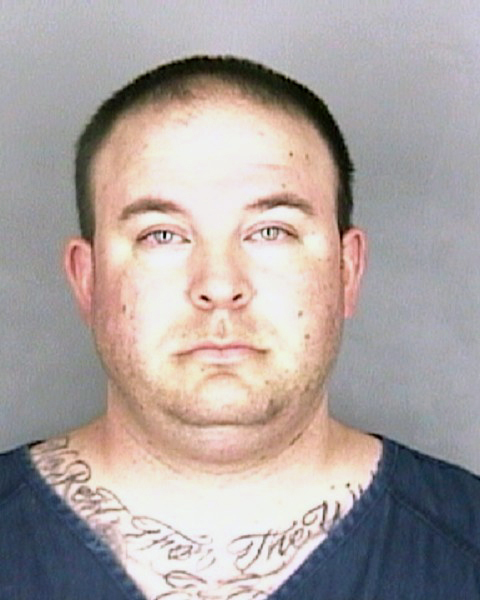 Salem police arrested 36-year-old Casey Miser on Feb. 16 after serving search warrants on his Keizer home and a Portland Road business where he worked. The searches resulted in the seizure of 40 pounds of marijuana, 17 pounds of methamphetamine, five pounds of cocaine, a quarter-pound of heroin, 10,000 oxycodone pills, $40,000 in cash, five firearms and two sets of body armor. Miser was charged with delivery of methamphetamine, delivery of cocaine and delivery of heroin. He was being held at the Marion County Correctional Facility on $1.5 million bail after his arrest, but overcrowding led to a forced release just before midnight on Monday, Feb. 27. About 7 a.m. on Tuesday, Feb. 28, Salem Police served another search warrant at a residence owned by Miser in the 4700 block of Dorrance Loop Northeast in Salem. Police found Miser and two accomplices at the house along with five pounds of methamphetamine and an illegal marijuana grow. Miser was taken back to Marion County Correctional Facility where his new charges are unlawful possession and delivery of methamphetamine, unlawful possession and delivery of marijuana, unlawful manufacture of marijuana, and violation of a release agreement. Also arrested were Luis Gonzalez, 37, and Jesus Silva, 36. Gonzalez is charged with possession and delivery of methamphetamine and delivery and manufacture of marijuana. Silva is charged with a parole violation. At the time of Miser’s original arrest, Lt. Steve Birr, of the SPD’s Special Operations Section, said Miser was something of an oddity on the spectrum of those involved in the possession and delivery of illegal drugs. “He’s unusual from the standpoint that you don’t usually see a guy working an 8 to 5 job and slinging dope in the evenings,” Birr said. Miser’s main residence is a home on Rafael Avenue North in Keizer. Salem and Keizer police officers spent more than a month working on the investigation that led to his initial arrest.